Sizing and Understanding your grease interceptor? Sizing your interceptor correctly is vital in both meeting your requirements for your local grease ordinance and the long-term success of your interceptor. 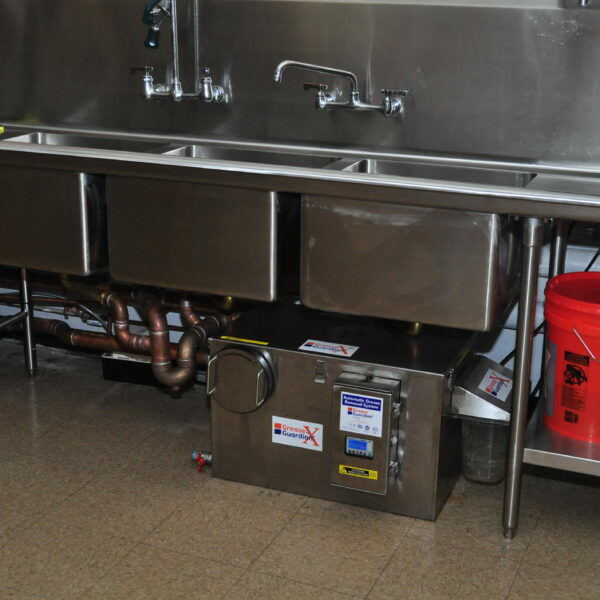 Purchasing and installing the correct size will insure your interceptor can handle the waste water flow and grease coming from your kitchen. What needs to be included when sizing up an interceptor? Although there are some variations to specific ordinances across the country, there are some basics truths across them all. The multi compartment sink and Pre-Rinse station will need to be included. By using the length x width x Depth measurements, you can calculate the maximum flow coming from your multi compartment sink. This flow rate will directly correspond the necessary size of your grease interceptor. Based on the GPM you calculate you specify the GGX model associated with that GPM. If you have multiple fixtures, then you simply add them up and use that number. Example – GPM = 23.7 you would specify a GGX25. We advise rounding up. Reasons you may want to size an application “up” would be if it is going into basement and you want to account for pressure from the pipe drop. We get it, you didn’t get into the restaurant business to become a grease interceptors’ expert. Call us and let our team of experts help you today. We will help you figure out the best solution for you! We will make sure you are compliant with your local ordinance. Engineers we are there for you too! Our team has worked on countless building and kitchen designs around the world. From your smallest applications to largest grease management projects, we have the experience to assist in any of your kitchen designs. See you next week Bloggers!